What is Habitat for Humanity of Williams County and what do you do? Habitat for Humanity of Williams County is a homeownership program that builds and sells homes to hard-working families in need of decent and affordable housing. We are an independently funded afiliate of Habitat for Humanity International, a nonprofit, ecumenical Christian housing ministry. To learn more about our mission and history, click here. No. Our homes are built in partnership with qualifying low-income families. Partner families pay for closing costs and make monthly zero-interest payments. Partner families are required to invest 250 hours (per adult) of their own labor into building their Habitat home and the houses of others. Habitat homes are 'a hand up, not a hand out.' Click here for more information on the Home Ownership Program. What kinds of homes do you build and where do you build them? Habitat builds three and four-bedroom homes depending on family size and need. We build homes within Williams County. There are, at present, 31 Habitat homes in Bryan, Montpelier, Edgerton, Edon, Pioneer, West Unity and Stryker. We are currently building our 32nd home in Pioneer with completion scheduled for the end of the summer. How can I volunteer with Habitat for Humanity of Williams County? Volunteers can work on our construction sites, on special projects, or on Board committees. For more information on volunteering, click here. For a printable volunteer application form, click here. What are the age requirements to volunteer with Habitat? Volunteers must be at least 16 years old to work on a construction site. Younger volunteers may be able to help with other non-construction tasks. Do you need previous construction experience to volunteer on a Habitat construction site? No. Anyone who wants to help and is at least 16 years old is welcome on a Habitat construction site. Site supervisors will provide the tools and will teach you how to properly and safely use them. During the beginning of construction projects and at times during the project, certain days, called Building Blitzes, need large numbers of volunteers. Building Blitzes are on Saturdays. During a project, help is needed during the week and on non-Blitz Saturdays. A call to the Habitat office will let you know what is being done and what is needed. Can groups of people volunteer? Yes. Volunteer groups are made up of between 3 and 10 people who want to volunteer together on the same date. For more information about groups, click here. How do I apply to the Habitat Homeownership Program? Candidates for a Habitat home must meet and follow strict qualification guidelines. Inquiries may be made at the Habitat office in person, by telephone or by email and a brief interview may take place. Formal applications are available at the Habitat office above the Bryan Chamber of Commerce offices on the south side of the square (next to the Bryan Cinema) and at the Chamber office during office hours Monday through Friday. 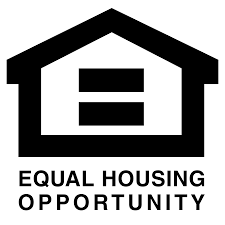 What are the requirements for the Habitat Homeownership Program? Applicants must have lived in Williams County for at least one year. Families must show that they are willing to partnership with Habitat for Humanity of Williams County, must demonstrate a need for housing, and must have the ability to make a monthly interest-free mortgage payment based on their gross (before taxes) monthly income and the costs of materials and professional labor for the building process. Taxes and insurance are added to the payment. For more information about the Program, click here. It typically takes about one year from the time of application approval before a family moves into their Habitat home. For more information about the application process, click here. Will a past bankruptcy disqualify me from applying for a Habitat home? A bankruptcy is acceptable as long as it has been more than two years since discharge and finances are under control.